In a standard single averaged, drift tube ion mobility spectrometry (IMS) experiment, typically less than 1% of the ions are utilized, with the rest of the ions neutralizing on a closed ion gate or ion optic element. 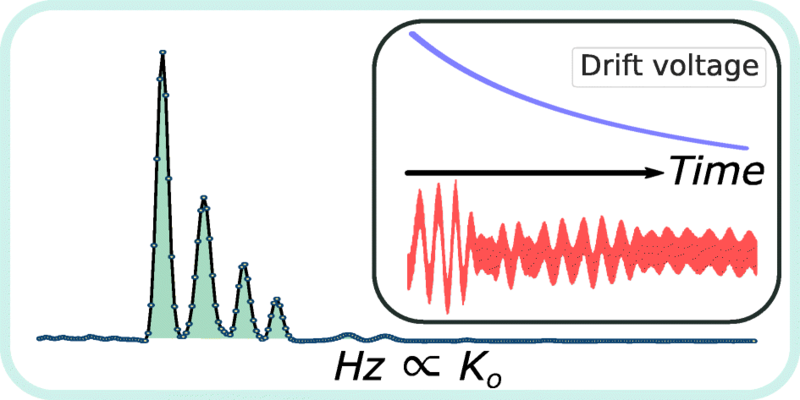 Though some efforts at lower pressures (e.g., 4 Torr) have been made to address this issue by concentrating ions prior to release into a drift cell, the ion current reaching the detector during an IMS experiment is often diminished due to this lower duty cycle. Additionally, when considering the temporal nature of the drift tube IMS experiment and the trajectory of IMS towards higher resolution separations and lower duty cycles, increased detector sampling rates are another factor also which further necessitates new modes of conducting the IMS experiment. 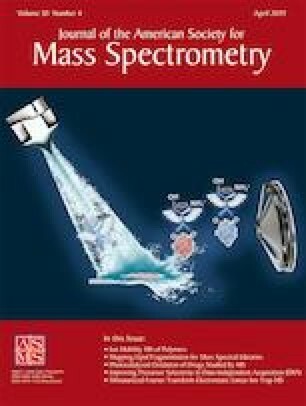 Placing this trend in context with ion mobility-mass spectrometry instruments (IM-MS), there are numerous types of mass spectrometers that are simply incompatible with the single averaged ion mobility spectrometry experiments due to timing incompatibilities (i.e., ion traps are an order of magnitude slower than the IMS experiment). However, by utilizing a dual gate ion mobility spectrometer for ion multiplexing, ion utilization efficiency can be significantly increased while creating a measurement signal that can be recorded at low sampling rates. In this work, we present the fundamental theory and first results from proof-of-concept measurements using a new type of ion multiplexing that relies on changing the electric field within the drift cell during the course of an experiment while simultaneously opening the ion gates at a constant frequency. For brevity, this mode is termed voltage sweep multiplexing (VSM). Key variables for this type of experiment are discussed and verified with measurements from traditional signal averaged experiments. TR and ALD were supported in part by the DTRA Basic Research Program (HDTRA1-14-1-0023). Additional support was provided through the National Science Foundation (CHE-1506672).